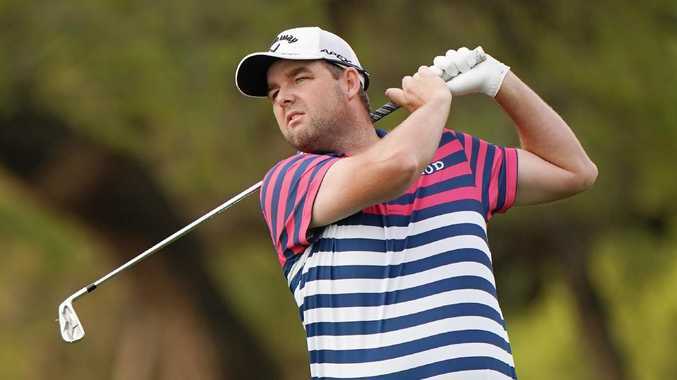 A SIMPLE swing fix has primed Australia's world No.19 Marc Leishman for an assault on this week's US Masters. Longtime coach Denis McDade identified a set-up deficiency during a session at Leishman's Virginia Beach base late last month. "I struggled at the Players Championship, but Denis came over (from Melbourne) and we sorted that out really quickly," Leishman said. "He came for a couple of days and it was an easy fix, which was nice. My stance was just too narrow, so I was hitting a lot of shots thin and short and right. "I've just widened my stance a bit, got myself a bit closer to the ground and just a couple of other things, some bad habits, that I just couldn't pinpoint myself. 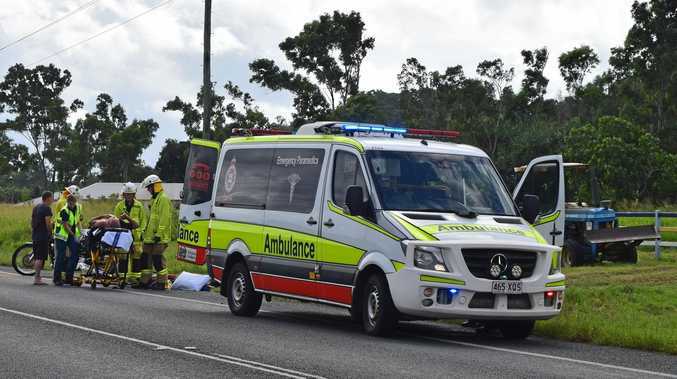 "We had the trip planned and he saw it pretty much straight away. It's nice when you've had a coach for 18 years. "It's a lot easier to find those little when you've got a lifetimer like that, instead of switching and changing all the time." 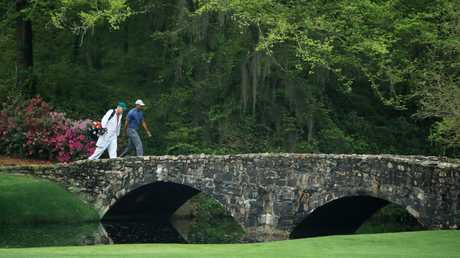 Leishman, 35, finished ninth at Augusta last year and fourth when fellow Australian Adam Scott saluted in 2013. "It's one that everyone would love to win," the Warrnambool golfer said. "That course out of all of the majors - that and the British Open - suits my game better than the other major tournaments. "The greens are so severe and undulating, you need a lot of imagination and I feel like I've got a pretty good imagination. "And you need to be a pretty pinpoint iron player, because you need to be coming in to those greens and landing it in the right area with the right shape and the right spin. "If you're a good ball striker, it's a bigger advantage there, but you also have to be good around the greens. "It tests every part of your game." 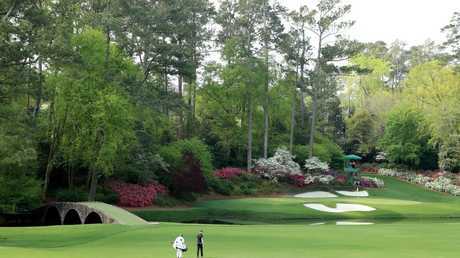 Augusta National Golf Club's iconic three-hole stretch - 11, 12 and 13 - dubbed 'Amen Corner' by US sports writer Herbert Warren Wind in 1958, can make or break a US Masters round. Leishman takes us through his strategy. 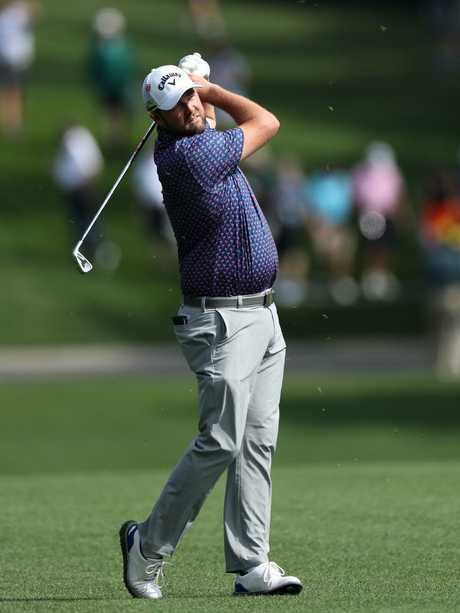 "If you're hitting good shots and get the right conditions you can birdie all three holes, but if you let it get to your head - or you hit not even a bad shot, but not a good shot - it can really eat you up," Leishman said. This tee shot sets up pretty good for me, but if you're anywhere in the right rough, you're done. You've got basically no chance because there are a lot of trees down there. Left is doable, but if you go too far left it will run through the pine straw and there is an out of bounds fence down there. On the second shot, if it's average temperature, you're hitting a five or six-iron, and you're just trying to hit the right centre of the green. If you miss right it's actually a pretty scary chip shot because you're in a little swail that goes up to the green and then the green runs away to the water. Any pin at 11 is a tough one. If you can par it, you walk to the 12th quite happy. If there's no wind it's not that difficult a hole. I normally hit a pitching wedge or a nine-iron in there. But if there is wind, it's the hardest hole on the golf course by far, because it swirls around down there and you can't tell where it's coming from. You'll see guys land it in the water and the next guy will hit the same club 10 yards over the back of the green. You just hope that the wind dies down when you get to the tee because it's a brutal, brutal shot if it's windy. I normally try to hit a hooking three-wood off there and try to run it around the corner a little bit. It's really easy to hit it through that fairway, it's probably only 240m to the trees. If you hit a good tee shot there, you've got a three, four or five-iron into the green, but the ball is at least a foot above your feet on that second shot. That's the hardest thing because you've got to start it over the creek on the right … and hit a draw into that green to hook it around the trees, which you can't see on TV. If you don't quite get good contact it's not going to turn and will go straight into Rae's Creek. You're generally looking to land it on the left half of the green. "The 18th green when Scotty had that putt (in 2013) or the second shot on 15 last year in the second round when I hooked it around the trees and eagled it to either tie the lead, take the lead or get within one. 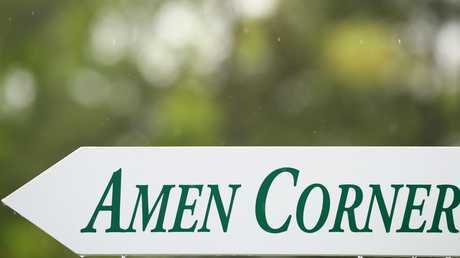 You ask any Australian what their favourite Masters memory is and they will probably say that (on Adam Scott's win)." Hit it in the water on 15 in 2013 "and that was me done". "Four and five is a tough stretch. I have a hard time with them generally, and if I can play those well this year I feel like that goes a long way to having a good week." "If I had to play one hole and had to birdie it, I'd probably play 13." "We're all pretty good mates. We'll have a practice round at some point during the week. Cameron and I have become really good friends and spend a fair bit of time together. Scotty and Jason and myself have all got young families, so it's getting harder to find time to do that." "I'll spend more time at home, but I don't think I will ever live full-time again in Australia. With the kids over here and an American wife, my life is over here now. Obviously, I've still got family in Australia and love getting back whenever I get the chance, but it's just harder now." "It's great. Anything that is going to bring people to the game is great. You saw what he did to it in the early 2000s with his success and what that did for the audience and the players. He's done great stuff for us. "If he can do something like that again, it can only be a good thing."